Take a look at Simon's channel on YouTube. 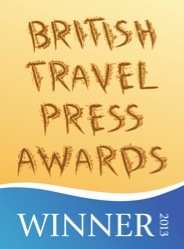 for an "outstanding contribution to greater world understanding"
Simon has journeyed across epic landscapes, dodged bullets on frontlines, hunted with the San Bushmen of the Kalahari, dived with manta rays, seals and sharks, survived malaria, walked through minefields and been detained for spying by the KGB. His travels have taken him across jungles, deserts, mountains and oceans, and to some of the most beautiful, dangerous and remote regions of the world. 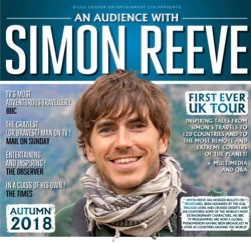 Simon_Reeve_Showreel from amy chapman on Vimeo. 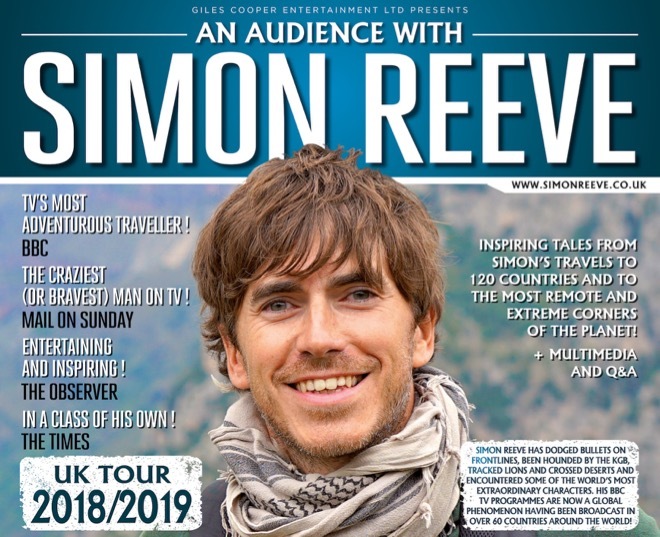 Simon Reeve is an adventurer and bestselling author and TV presenter who has travelled to more than 120 countries making multiple award-winning TV series for the BBC. 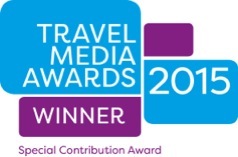 They include Caribbean, Russia, Sacred Rivers, Indian Ocean, Tropic of Cancer, Equator, Tropic of Capricorn, Pilgrimage, Australia (Winner of the British Travel Press Award for Broadcast Travel Programme), and Mediterranean. He has received a One World Broadcasting Trust Award for "an outstanding contribution to greater world understanding" the prestigious Ness Award from the Royal Geographical Society, the Special Contribution Award at the Travel Media Awards, multiple reader awards for Best and Top TV series from leading travel magazines, and the John Tompkins Natural History Award from the International Moving Image Society, an award “for extraordinary achievements” in the field of natural wildlife and history filmmaking. His books have been in the bestseller lists of both The Sunday Times and The New York Times. The BBC describes Simon as “British television’s most adventurous traveller”, and after a decade spent making more than 70 programmes Simon has become a familiar face on British TV, well known for his extraordinary foreign journeys. Most of Simon’s documentaries combine travel and adventure with global environmental, wildlife, and conservation issues, and have taken him across jungles, deserts, mountains and oceans, and to some of the most beautiful, dangerous and remote regions of the world. Simon’s dodged bullets on frontlines, hunted with the Bushmen of the Kalahari, dived with manta rays, seals and sharks, survived malaria, walked through minefields, tracked lions on foot, been taught to fish by the President of Moldova, adopted by former headhunters, and detained for spying by the KGB. Simon’s own journey started after he left school with few qualifications. After a period on the dole, he ran charity shops, stacked shelves, and eventually found a job as a post-boy on a newspaper. He quickly graduated to research and writing, and then spent years working, often covertly, on investigations into nuclear smuggling and terrorism. His 1998 investigative book The New Jackals, the first in the world on Osama bin Laden and al Qaeda, became an international bestseller, and was followed by his book One Day in September, which is also an Oscar-winning documentary movie. Since making the leap to television Simon’s adventures have been broadcast in dozens of countries, enthralling millions. The Times has said: “Reeve is in a class of his own”. On this site you can find out more information on some of Simon's journeys and books. In 'Greece with Simon Reeve', Simon travels around one of the most beautiful, troubled and extreme countries in Europe, from the islands of the Aegean to the rugged and mountainous north. 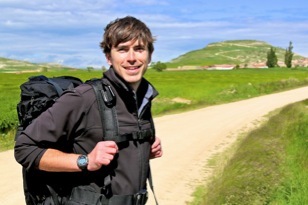 Ireland with Simon Reeve explores the Republic of Ireland and Northern Ireland in a new two-part series. Both form one of the most beautiful islands in the world: a place steeped in history, culture and belief, but one with a complex and troubled past. Simon travels around the edge of the Caribbean Sea for a stunning new 3x1hr series that blends travel with wildlife, issues, adventure, and incredible insights into a glorious region of the world. Sacred Rivers - broadcast during 2014. Pilgrimage - 2013 - for centuries pilgrimage was one of the greatest adventures on earth, involving epic journeys across the country and around the world. This series sees Simon retrace the exciting adventures of our ancestors. 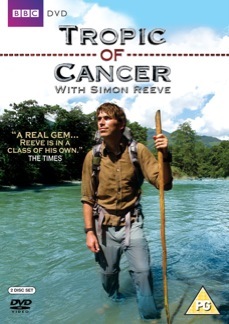 The Observer: "Outstanding…The BBC has had a few goes at documentary series on this theme, but they all pale in the face of this three-part project by Simon Reeve, a man whose very name is a guarantee of interesting television." Australia - 2013 - the first episode of Simon’s journey takes him from the ‘red centre’ of the country south to the wine region, then west to Perth. On the second he travels across the remote and wild north to the Great Barrier Reef. And his third takes him down the east coast to the magnificent cities of Sydney and Melbourne. Indian Ocean - in this epic 6-part TV series Simon travelled around the edge of the Indian Ocean. Starting his journey in South Africa, Simon headed up the east coast of Africa, around India and back down the western coast of Indonesia to Australia. The extraordinary adventure took Simon to 16 countries, as he braved the horrors of Mogadishu in Somalia, perhaps the most dangerous place on the planet, and travelled on to the beautiful Maldives, Mauritius and the Seychelles. Daily Telegraph: "compelling and sometimes uncomfortable television...digging deep beneath the white-sand beaches and swaying palm trees to come up with all sorts of gems and muck"
Daily Mail: “Five Stars…terrifically varied and engaging...compelling...fascinating viewing"
Mail on Sunday: "You won't lack for breathtaking beauty in Reeve's new series, but this is far more than just another bloodless travelogue... Reeve also fearlessly explores troubled war zones and crime-ridden urban areas along the way"
Daily Mail: “Five Stars…a series that will go down as one of the high points of the television year…brilliant…hugely enjoyable…eye-opening…amazing sights…a fascinating, illuminating journey"
Radio Times: "moving stories and remarkable sights"
Equator - 2006 - this BBC TV series took Simon on an epic journey through the centre of the Tropics - the region of the world with both the richest biodiversity, and perhaps the greatest concentration of human suffering. 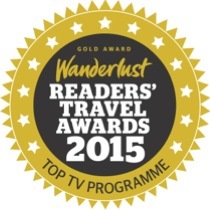 The series was a Silver Award winner at the Wanderlust Travel Awards. Places That Don’t Exist - 2005 - a TV series in which Simon travelled to a group of unrecognised nations – countries so obscure they don’t officially exist. Daily Mail: "Unmissable...makes the blood boil...It would be good if this brave programme stirred a few consciences. Shaming." Meet the Stans - 2003 - in Simon's first TV adventure he travelled around the Central Asian states of Kazakhstan, Kyrgyzstan, Tajikistan and Uzbekistan. 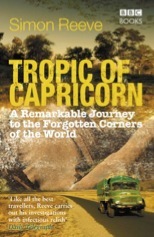 Tropic of Capricorn - published by BBC Books, this details Simon's journey around the southern border of the tropics, providing much more detail than the TV series and lots of new stories. The New Jackals: Ramzi Yousef, Osama bin Laden and the future of terrorism - this book, which warned of a new age of apocalyptic terrorism, was the first in the world on bin Laden and al Qaeda. Originally published in 1998 it has been a New York Times and international bestseller. Described as Essential or Recommended Reading by scores of newspapers, magazines, government officials and academics around the world. The Washington Post: "A painfully relevant book"
The Washington Times: “a compelling reconstruction...an outstanding account describing a terrible and growing peril”. BBC News: described Simon as “perhaps the world’s leading expert on al Qaeda and Osama bin Laden". One Day in September: the story of the 1972 Munich Olympics massacre and Israeli revenge operation 'Wrath of God' - published by Faber in the UK and Arcade in the US. The documentary film of the same name, narrated by the actor Michael Douglas, won an Oscar for best documentary movie. The story of the Munich massacre and subsequent Israeli revenge operation was also turned into a major feature movie by Steven Spielberg. The New Yorker: "Highly skilled and detailed...it’s a page-turner"
Daily Mail: "This astonishing record of the massacre at the Munich Olympics should be compulsory reading...I read in one sitting the gripping narrative"
International Herald Tribune: “a masterclass in investigative journalism...brilliantly recaptures the tension of the day as well as the human cost of the botched police operation”. Disclaimer: The information on this website was as accurate as possible when it was written, but situations change. We accept no responsibility for any loss, injury or inconvenience sustained by anyone resulting from this information. You should conduct your own research before traveling abroad and check for the latest information on critical issues such as security, visas, health and safety, customs, and transportation with the relevant authorities before you leave.